It added that production would be affected as they had to stop pumping oil on the line, although "not adversely" as they also transport crude by road. "The incident might have been caused by suspected oil thieves who had hacked into the line to intercept the flow of petrol from Port Harcourt to Aba," NNPC said in an earlier statement. Many oil spills in the southern oil production heartland of Africa's biggest crude producer are caused by theft and pipeline sabotage. 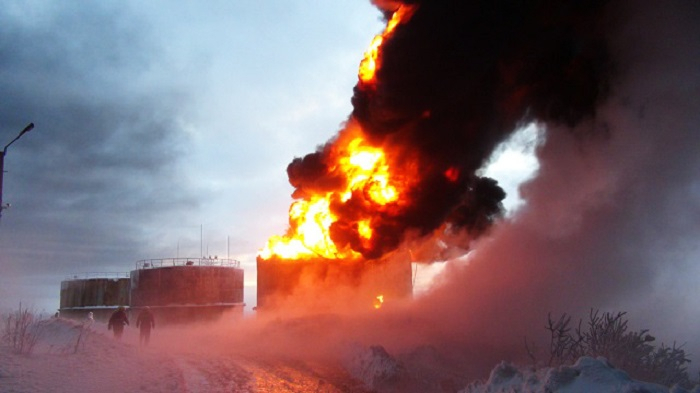 The methods used to steal the oil often result in accidents that cause fires.